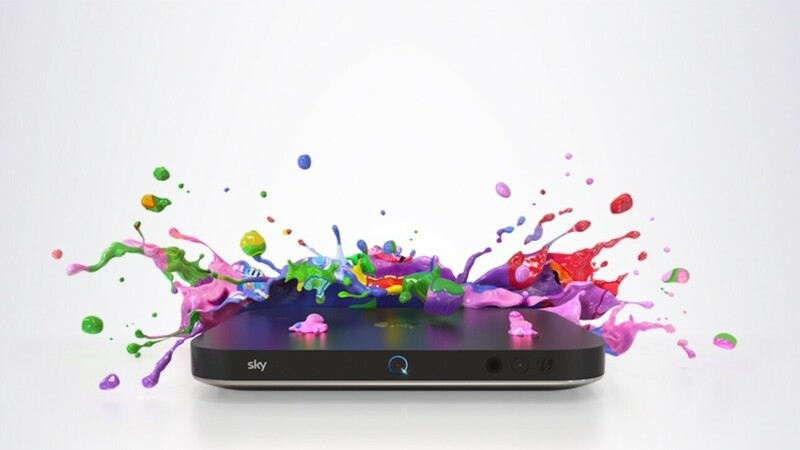 Sky TV had something to celebrate this week – the launch of their super fancy new product Sky Q.
Oooo look at the blobs on that. Such colour, many definition. For those that aren’t up to date on their TV Tech, Sky Q is a new set-top-box for Sky’s satellite TV service that allows “Fluid Viewing”. Basically you can start watching on your TV, pick things up on your tablet when you need to poop and then finish off on your phone when you go to bed. Sky officially launched Sky Q this week, and to make a big splash they decided to do some social media advertising. Part of that media blast was a promoted trending topic on Twitter – #SkyQ. In case you weren’t sure what a promoted trending topic is on Twitter, it’s where a company pays (a lot of money) to have their hashtag appear at the top of Twitter’s trending topics list. People can then click the hashtag to see the company’s marketing messages along side other tweets using the hashtag. If you clicked on the hashtag, here’s what was at the top of the list of tweets – a lovely fancy video from Sky. Forget #SkyQ, I want a #Sky broadband that doesn't crash when someone to uses the house phone or take over an hour to download a tv show. Some not very happy people there, all getting their tweets in front of a huge audience thanks to Sky’s own marketing budget. It’s still going on right now. 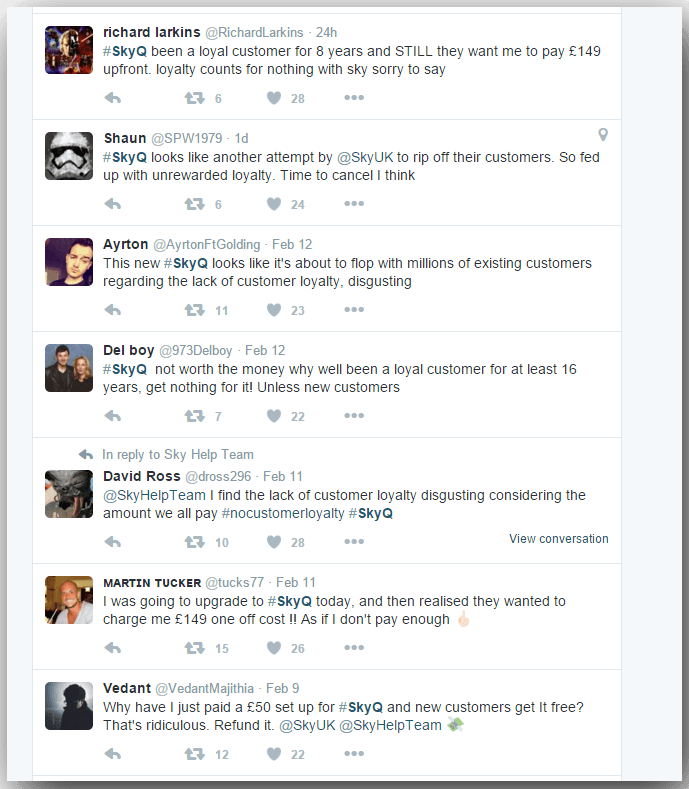 Just click #SkyQ to see the latest batch of angry people. Easy really, don’t include promoted trending topics in your ad campaign. There are loads of advertising products on social media, many of them fantastic ways to get your message in front of a new audience. Trending topics are not one of these. If there’s one thing that Twitter’s good at, it’s pulling together lots of un-moderated, uncensored tweets around a certain topic. If you know you’ve got haters out there, don’t pay for the privilege of getting their message in front of a bigger audience. Stick to promoted tweets. Sure people can still reply to the tweet and people can see those replies, but there’s a couple of clicks needed before those messages are viewed by the public. With trending topics, one click and everything is laid out bare. Far from ideal. If, like Sky, you need help with your social media campaigns, get in touch and see how I can help you. As if this fail wasn’t enough, someone didn’t both to brief Sky’s help team that people were using the hashtag to air their anger. Remember my tweet from above? Word of advice Sky, teach your help agents the meaning of context.